We’re off to a vacation in a few days and I’ve been packing like crazy since the other day. While packing for one is quite easy, packing for a family is a bit of a challenge if you don’t have a list. Have I packed their swimwears yet? Does everyone have enough shirts for the trip? Milk for the younger one? Milk for the older one? Formal clothes for everyone? Make that two sets… Ooops! To save me (and also you) from packing stress, I have come up with this checklist for packing for a trip. Ha! It’s so unlike me actually. I would normally just throw in everything that I think I’d need in the luggage and just write in a scratch paper those that I still lack and add them later on. Well, it’s not that efficient now that I have to do it four times! After the title, I’ve put in a few lines of trip information like destination, number of days, and weather at the destination. I’ve also added in a field for swimming and formal events (e.g. weddings, cruise) as indicators of whether there’s a need to bring the appropriate clothes for them. 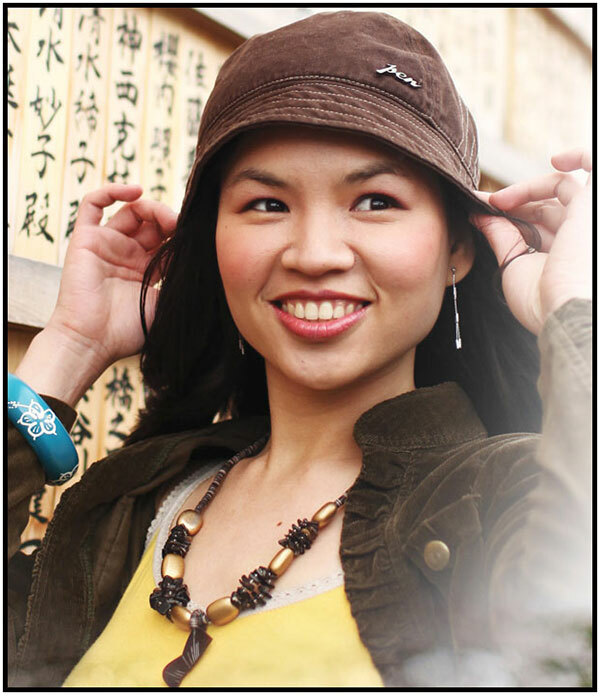 General – generic stuffs like plane tickets, IDs/Passports, chargers, medicines, etc. Dad – All things for dad (or any male). Mom – All things for mom (or any female). For the Kids – General things for kids like diapers, milk bottles and powder, toys, etc. Note: If you’re not a mom nor a dad, you can still use this list. Just print out the front page, fill in the one for dad if you’re a male or the one for mom if you’re a female and then ignore the Kids section. I’ve made just one list for both male and female. I just added dresses and jewelries at the last line to include what girls may need. 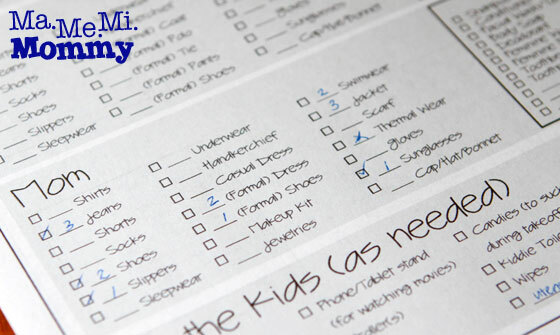 For the itemised list (dad, mom, and child), each has a blank space after the checkbox where the quantity can be added. It’s a good way to keep track of how many things you’ve brought and if they are enough for your entire trip. Open the files with your choice of photo viewer. Hit Print to open Print dialog. Print front page. Same steps for the back page. I love the printable! I should’ve had this before we traveled haha. 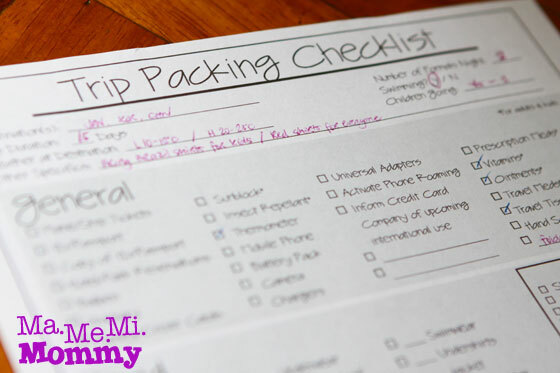 While I didn’t forget anything, a written checklist would have made my packing so much easier! This is a good idea. Thanks for coming up with this packing trip list. I need to make one for myself the next time I travel. Galing!! Very perfect. 🙂 And uber helpful too. I’m downloading it now. I usually just list down all the things we need to bring during a trip. 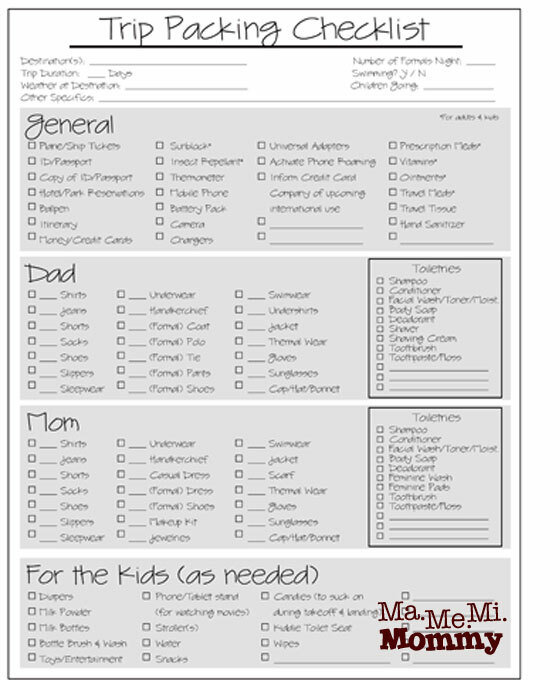 But I like this printable checklist. I create my own packing list too when we’re anticipating a trip. I guess, no one else does that in the family, but us, mommies! Hindi pwedeng wlang list! Marami akong nakakalimutan! Hahaha! I still remember the first time to travel with my baby he was just four months old we went to Baguio dala ko ata buong bahay but still I forgot something. When we went to Boracay I make it sure that I have the list with me so I will not forget anything and it is a success. Up to now every travel even overnight lang I always make it assure I have a list with me when packing our things. Such a nice and comprehensive list! Thank you for sharing. I also made one for my own use. But now that my kids are older, I have given each one a list that they can refer to whenever we go on trips. This will come in handy for our next trip! Louisa recently posted…Blogger Love from Tweenselmom! Packing for a trip can indeed get really stressful! Thanks for sharing your checklist. I super hate packing haha. There was one time I packed a few days ahead but I ended up forgetting a lot of things. Now, we pack a few hours ahead, regardless of the length of our trip. It does make you even more likely to forget things so checklists are definitely very important! 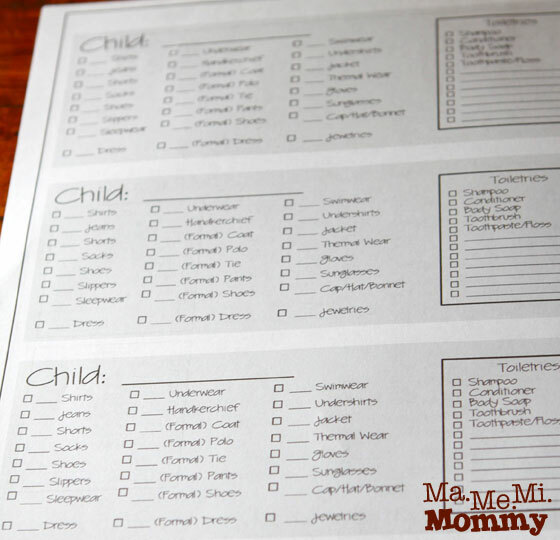 Thanks for the free printable checklist. You save me some time of writing down a checklist. It contains everything I would like to pack too. Thanks for sharing! !